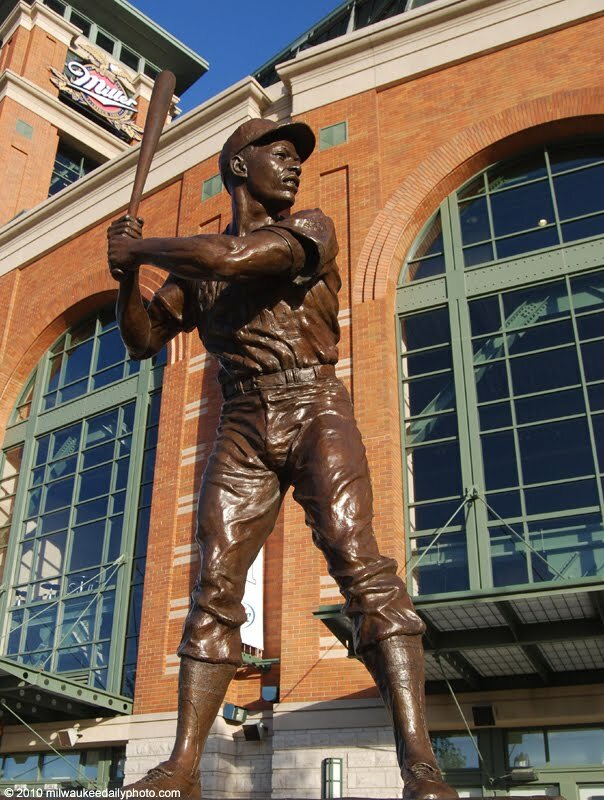 Two statues in front of Miller Park pay tribute to two of the greatest baseball players to play for the home team. Today's photo is of the statue of Hank Aaron, who played for both the Braves (1954 - '65) and the Brewers ('75 - '76). An average of over .300, the all time home run king, and leader in extra-base hits are just a few of his accomplishments.